The deadline for application for the Course on International Protection of Human Rights – Protection of National Minorities has been extended until the 10th June 2011. There is also still a possibility of reducing registration fees. We would like to stress that there will be no further extension of the deadline. 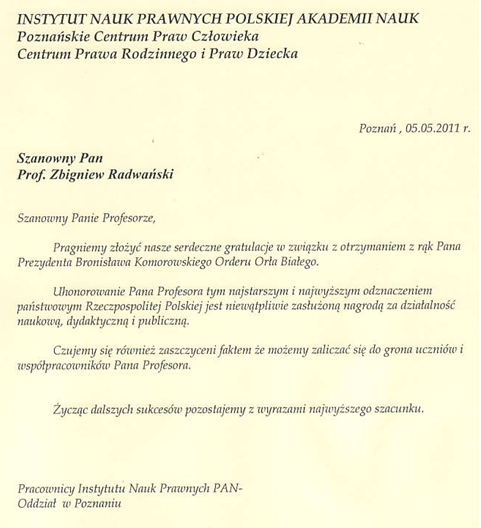 Miło nam poinformować że prof. Zbigniew Radwański otrzymał z rąk Prezydenta Bronisława Komorowskiego Order Orła Białego.